I’m back y’all and getting busy. 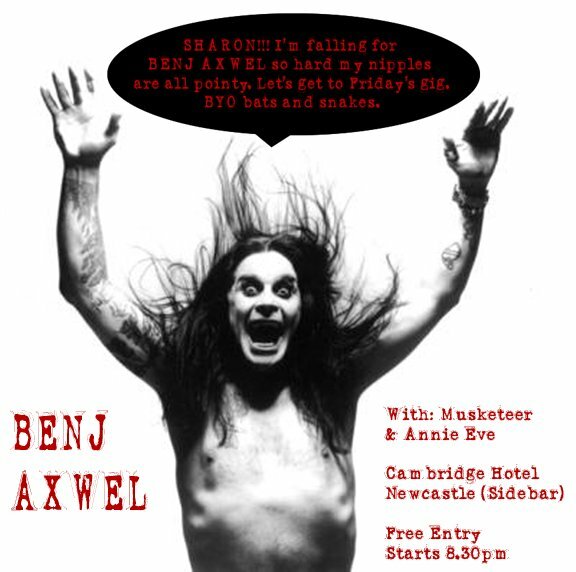 Going to be playing a show at the Cambridge Hotel this Friday night (13th March) in the sidebar with assistance from Musketeer and Annie Eve. Show starts at 8.30pm and it’s free entry. That’s right it’s free. Absolutely free. Drink is extra. But entry is free. I’ll be announcing some exciting tour news on the night too however if you’re not there i’ll tell you later, in private, but not creepy private. OK see you Friday unless I don’t. BIG NEWS!! NSW SUPPORT FOR CLINT BOGE! !